We’ve been leading on an international project to develop a massive open online course in social pedagogy. The project involves 8 organisations from across 6 countries, all of which offer educational programmes on social pedagogy. Each team has been actively producing 8 sessions, throughout which we’ll introduce you to social pedagogy in the UK, Germany, Denmark, Spain, the Czech Republic, and Belgium. The project is co-funded by the European Union’s Erasmus+ programme, which means that the MOOC will be free to learners who wish to audit the course. Certification from our partners at Universitat Autònoma de Barcelona is optional and at a small fee of 43€. If you’re interested, you can find out more about this project and all partners in our MOOC brochure. 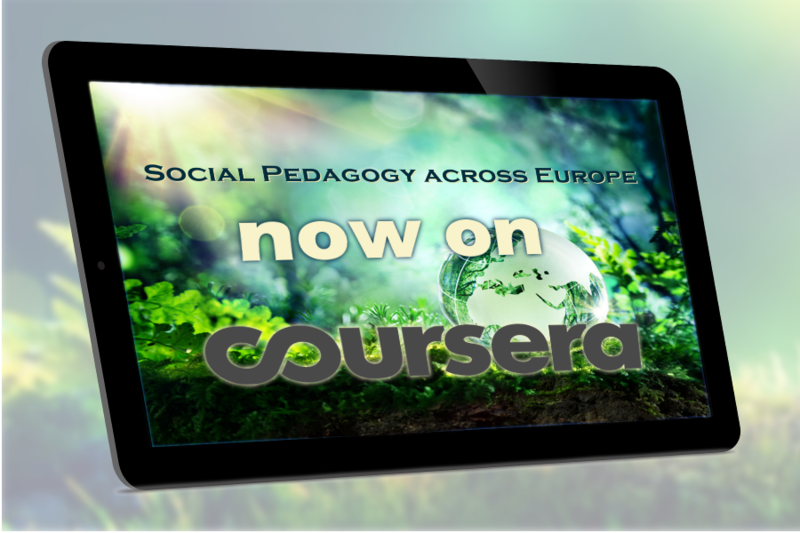 Interested in becoming a MOOC learner and finding out more about social pedagogy? You can sign up for free now on Coursera! Simply click the button below. To develop the MOOC we’ve been fortunate to bring together a great team of international partners with a broad range of expertise and a shared commitment to developing an exciting intercultural learning resource. You can watch short intro clips of all partners or find out more below. Universiteit Gent, with substantial teaching and research expertise in social pedagogy, contributing to its discourse both in Flanders and internationally. Find out more about each partner organisation here. The MOOC is one of the products from our 3-year project funded under the European Union’s Erasmus+ programme and delivered with 8 partner organisations engaged in higher education and vocational training. As a holistic, relationship-based way of working with children, young people and adults in educational and care settings from early years, school support, foster care, youth justice, residential child care, family support, support for people with disabilities and elderly care, social pedagogy is well established in many European countries. Given the inadequate educational and well-being outcomes for many of the most disadvantaged groups in British society (particularly looked-after children, families experiencing multiple problems) the social care sector is called upon to achieve fundamental changes. The high-profile Munro review of child protection argued for a child-centred system as is commonly found in countries where social pedagogy underpins care and welfare provisions. The influential Association of Directors of Children’s Services therefore recommended that local authorities should adopt social pedagogy to ensure ‘a consistent and holistic approach to underpin the commissioning and provision of support for children and young people across the age range, and their families’. Whilst social pedagogy is clearly recognised as a way of addressing the need for systemic change and pilot projects have consistently demonstrated its potential to improve outcomes, taking social pedagogy to scale is hampered by the cost of training a substantial part of the workforce and a lack of free comprehensive learning resources that can offer compelling insights into social pedagogical practice in other countries and support innovation. 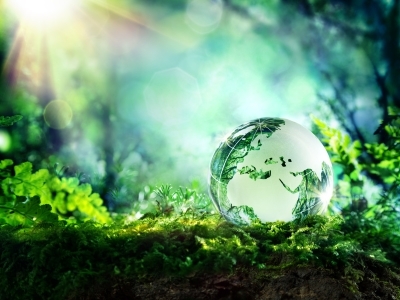 We aim to address these issues through a Massive Open Online Course in European social pedagogy, consisting of 8 sessions that offer unique insights into social pedagogy in the partner countries. 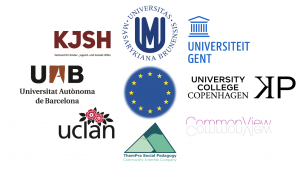 Our international multi-sector partnership between 8 organisations leading social pedagogy developments in higher education, vocational training and organisational capacity-building is designed to share innovative and best practice across linguistic barriers that have frequently prevented cross-fertilisation in social care across Europe. To support this aim and influence policy-making, we will also produce an academic research report that draws on the learning about social pedagogy between the 6 participating countries, outlines innovative ideas with the potential to impact on social care practice and makes policy recommendations about how these can be cross-culturally translated in order to develop a coherent conceptual and practice framework in social pedagogy across Europe. The report will be published in June 2019. We hope that the MOOC and the academic research report will reach many people around the globe and contribute to social pedagogy developments internationally, particularly in countries where interest in social pedagogy is still relatively new. If you’d like to find out more, please contact us.